Welcome to my blog! My purpose is to develop content for articles and books, practice my writing skills, and discover what interests people through their comments. If you follow me, we’ll go on adventures, some long, some short, some fast, some slow, some on foot, some back in time, some in other directions, wherever the path beckons. I am borrowing the title from Raymond Torrey’s weekly column which ran in the New York Post from 1918 to 1938. Torrey was a founder of the New York-New Jersey Trail Conference and a hiker, conservationist, naturalist, and trail-blazer. In his weekly column, Torrey shared news from regional hiking clubs, described popular trails, and championed environmental causes. He was an avid hiker and trail builder, and he spearheaded volunteer efforts to establish a network of trails throughout Harriman State Park. In 1921, he became an advocate of the Appalachian Trail, and over the next ten years, was instrumental in routing, blazing, and clearing over 160 miles of the trail from New Jersey to Connecticut. From March through June 1934, Torrey devoted his popular column to describing the proposed route for New York’s Long Path, which was envisioned as connecting New York City and the Adirondacks. Torrey was an impressive fellow. He was an amateur naturalist and quite knowledgeable about the flora and fauna of the Hudson Valley. He could reputedly identify 700 different plants, was especially interested in boreal species found at high elevation, and became an authority on lichens. He was also someone who stood up for what he thought was right. He had a famous disagreement with master builder and New York power broker Robert Moses over the proposed routing of a parkway across environmentally sensitive areas in Long Island. After the two men shouted at each other and traded insults, Moses tried to strangle Torrey and then threw a heavy smoking stand at him, but fortunately missed. 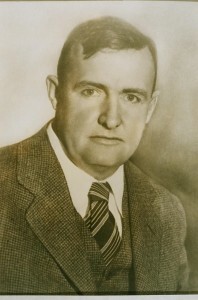 Torrey passed away in 1938. Friends scattered his ashes on Long Mountain, one of his favorite spots in the Hudson Valley, and erected a monument that identifies him as a “Great Disciple of the Long Brown Path.” He had been such a hard worker, it would take an entire committee of people to carry on his responsibilities. Torrey had borrowed the title of his column from the opening stanza of Walt Whitman’s Song of the Open Road. 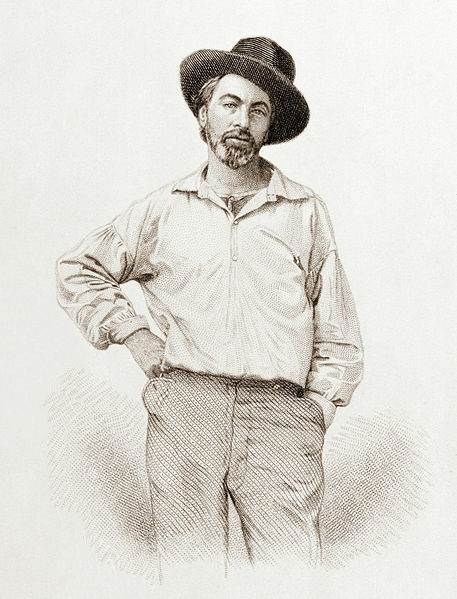 That Whitman became the poet laureate for New York hikers was somewhat ironic. He didn’t wander energetically through the mountains like John Muir or Henry David Thoreau. He loved cities and people more than wilderness. His friend John Burroughs called Whitman “the poet of democracy.” Whitman referred to himself as a “loafer.” The Long Brown Path was really a metaphor for the freedom that people have to follow their own unique paths through life and also a reflection of the sense of optimism felt by Americans in the late 19th century. But I had learned so much. About myself. About the wonderful parks and preserves of the Hudson Valley. And about the history and people of New York, including Torrey and Whitman and many other interesting characters. 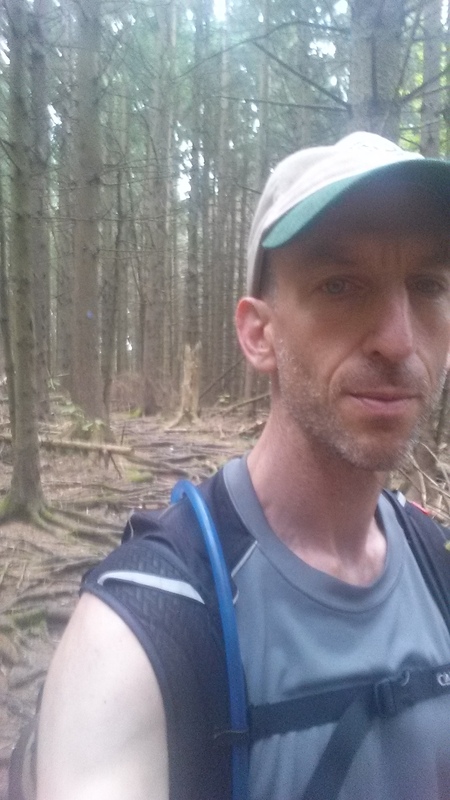 From Torrey I learned about the importance of championing land and trail stewardship. From Whitman, the importance of understanding that everyone follows a different path. I think Torrey and Whitman both knew – as do we – that the path is neverending.